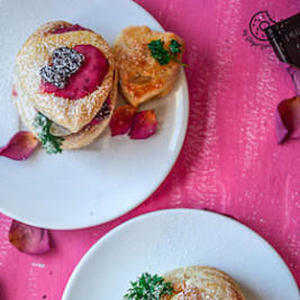 These gorgeous little Raspberry Creme Puffs are easy to make and are a perfect treat to make for Valentine’s Day. They are simple and so light. Plus, these are so easy to prepare. Also they look and taste absolutely fantastic!